Princess Lalla Hasnaa received on Friday in Tokyo the Goi Peace Foundation's annual international award. The award honors individuals and organizations that have made outstanding contributions toward the realization of a peaceful and harmonious world in their fields. 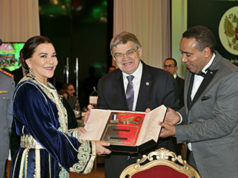 Hiroo Saionji, chairman of the Board of Directors of the Goi Peace Foundation, which was established in 1999 with the aim of promoting dialogue and initiatives for peace, presented the award to Princess Lalla Hasnaa, Chairwoman of the Mohammed VI Foundation for Environment Protection. The Goi Peace Foundation’s philosophy and action are based in particular on the “Declaration for All Life on Earth”, which sets out the principles of global responsibility for building a peaceful and sustainable world in the 21st century. The award was presented as part of the “Creating Tomorrow Today” forum, which was an opportunity to present prizes to the winners of the International Essay Contest for Young People. 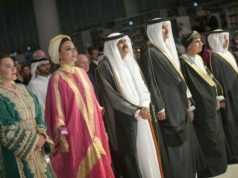 The contest brought together candidates from 162 countries on the theme, “The Change I Want to Make”. The Goi Peace Foundation’s international prize has been awarded every year since 2000 to prominent figures such as Mikhail Gorbachev, Bill Gates, Oscar Arias Sánchez and environmentalist Lester Brown. 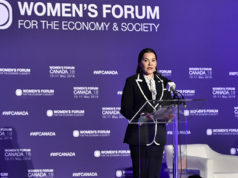 Princess Lalla Hasnaa received this year’s award for its lifelong commitment to environmental protection. 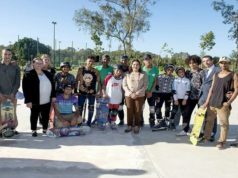 “What is essential (…) is to contribute to the emergence of a different world – a world based on cooperation, in which the responsibility for environmental protection, is shared by all, requiring equal effort from all of us,” said the princess. The commitment to the education of children, which Princess Lalla Hasnaa defends on a daily basis with her Foundation, is consistent with the Goi Peace Foundation’s philosophy. stands for. In 2014, the two Foundations naturally began a cooperation that takes the form of twinning schools in Japan and Morocco and is reflected in the sharing of experiences for the protection of the Environment. 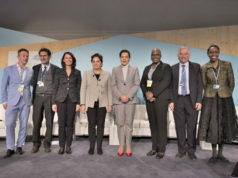 On the sidelines of the award ceremony, which took place in the presence of high-ranking Moroccan and Japanese personalities and ambassadors from 46 countries, Lalla Hasnaa posed for a souvenir photo with the winners of the International Essay Contest for Young People in the children and youth categories.